Sometimes I think that my brain is just a little bit off. I’m not sure if I actually have a problem with my hearing or my vision, but I DEFINITELY see the world in a different way. For example, I was watching the latest episode of Star Wars Rebels (season01 episode 08 Gathering Force) and when the Inquisitor smiled I thought to myself, “Woah! Look at those teeth! They’re HUGE! 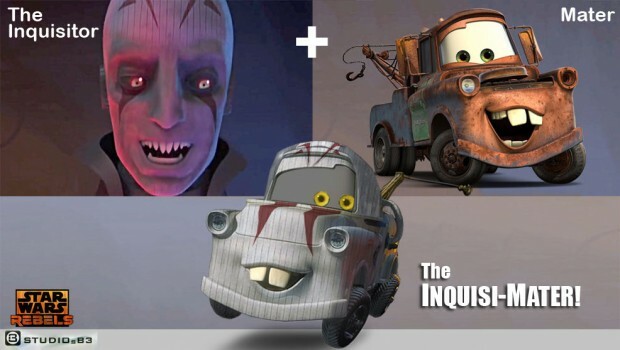 Like Mater the Tow Truck from Cars.” At this point my brain started to think about the different times that Mater has dressed up and I wondered what a combination of those two characters would look like. 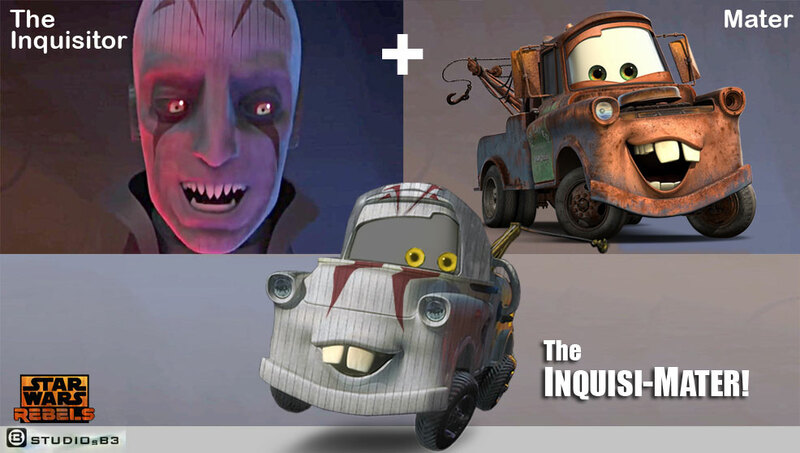 My curiosity has gotten the best of me and I’ve spent too much time in photoshop this morning creating the Inquisi-Mater. 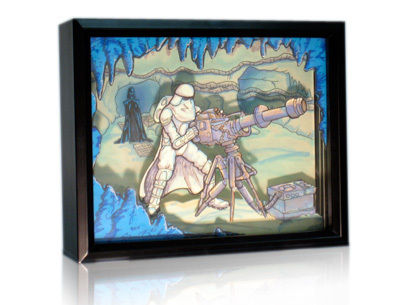 I mentioned this idea while recording this week’s episode of the Rebels Roundtable for the ForceCast. You’re welcome. Previous story Did Sabine find the Death Star Plans?